Circulation(s), the only festival dedicated to young European photography, has reached its fourth edition. The event is held in Paris, this year for the first time at the 104 – CentQuatre, a public cultural centre renowned in town – and not only – for the quality and variety of its programme, as well as for its appealing building: a 19th century structure that once served as the municipal funeral service’s headquarters. Almost all the participant photographers were born in the Eighties, while the styles and genres’ range is as wide as the authors’ geographical distribution: 17 nations are represented through reportage, portrait, fashion and vernacular photography. 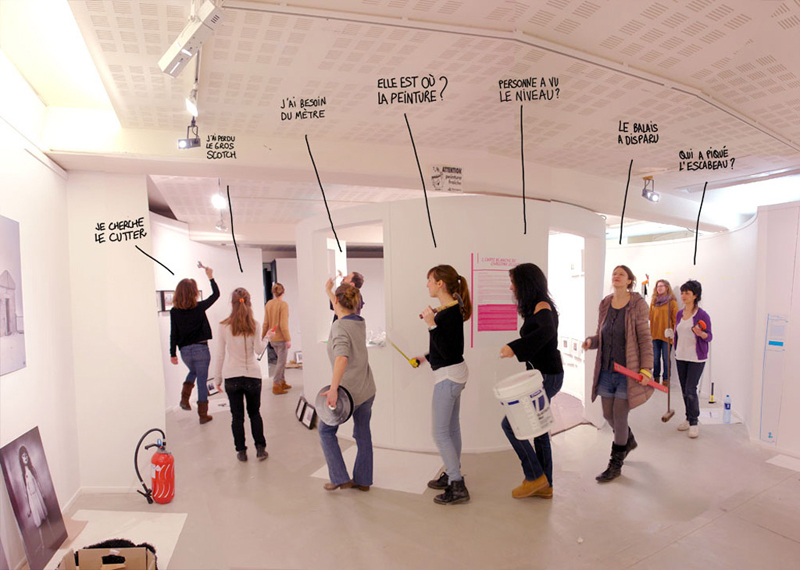 Also the back-office people share the same horizon, since most of the Festival’s organization – that is arranged by FetArt, a French public interest association that represents and promotes new photographic talents – is in the hands of young curators and cultural operators. We spoke with Marion Hislen, the Festival’s director, that very honestly illustrated pros and cons of an initiative that aims to have an international reach yet staying bravely independent. Let’s start by dealing with the “practical” side of story. How is the Festival structured from the economical point of view, considering that the entrance is free? We don’t have an economical point of view, we are poor and all volunteers! We militate in order to maintain the access free, because we don’t want to see art like a consumer product with a business plan. Despite the recognition of the public, we don’t get any help from the authorities. Private funding partners support us and the festival is based on partnerships, which allow us to pay all the prints. This year, for example, we financed our catalogue through a fundraising on KissKissBankBank. Also RATP (the Parisian public transport operator, Ed.) 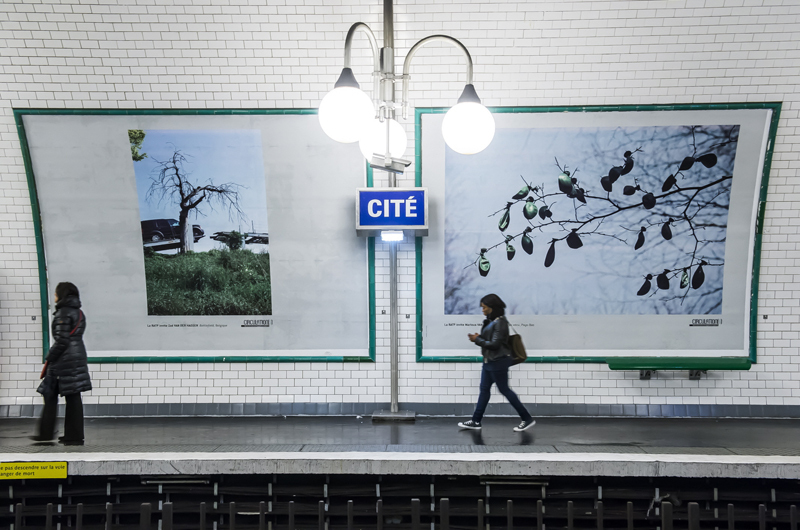 supports us by displaying the photographs of Circulation(s) on big billboards placed in various metro stations. This of course gives us a lot of visibility. 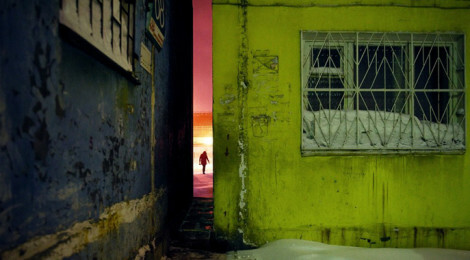 There are a lot of Photo Festivals all over Europe and the world: almost every big city has its own one, or more. Apart for the focus on the emerging artists, which are Circulation(s)’ distinctive characteristics? 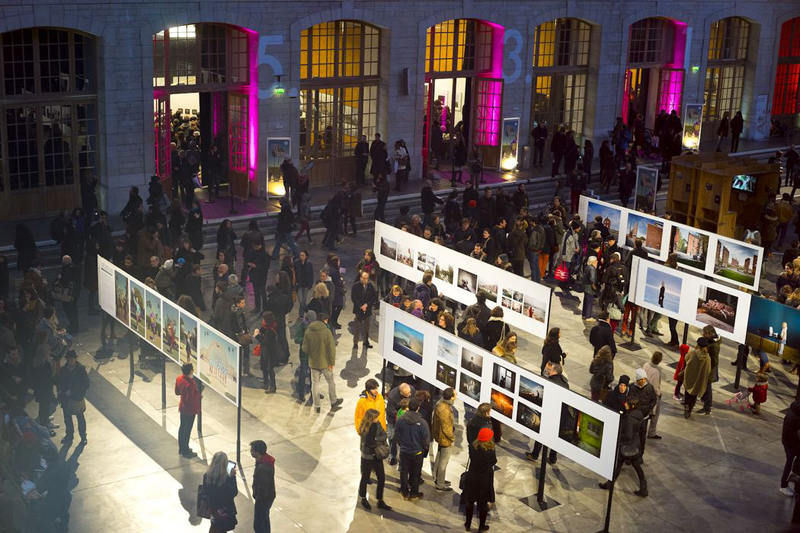 There is no real photo festival in Paris: there are only shows, fairs and events such as Paris Photo and the Month of photography. But most of all, there is no European event dealing with photography. Through Circulation(s), we aim to establish a European network of actors in this field: each year, we invite a photography school (for this edition, Belfast) and a gallery specialized in photography (a Slovenian gallery, this year). We cooperate with other festivals in Italy, Lithuania, Poland, Portugal: they help us in the promotion and communication phases – for instance by spreading the call for applications – and they vote for the jury defining the list of the participant artists. Finally, as we already said, the Festival is totally free. The general impression you get by visiting the exhibitions is a variegated and contemporary vision of Europe through photography, even before having an overview on European photography. Does the Festival pursue a socio-political aim, together with the artistic one? Our mail goal is to sustain young photographers in their process of identification and to help them getting into the art market. This is the reason why we also organize portfolio reviews during the festival, which are true moments of exchange and encounter between photographers and professionals. Given the number of authors who wanted to register this year, the demand is there! This can be seen as a socio-political aim, but we are not into politics – even though we show all kinds of work, some with political significance. We want to show the widest spectrum of styles to the highest number of people. Circulation(s) closed its doors a few days ago, thus it’s time of evaluations. Which are the Festival’s strong points you would keep, and what you would improve instead? Our primary strength is our associative basis. As volunteers, we are very dynamic and our motto is “to do more with less”. There is a tremendous human energy carried by this festival and we must keep this aspect alive. On the other hand, our finances are scanty and we can’t offer every photographer the prints of his dreams. We don’t have the money to make frames, just to give an example. This is what we need to improve in the future.